If you find yourself feeling overwhelmed and wish you had a few extra minutes in your day, it’s time to make a change. Merry Maids® is that change you need. Our home cleaning services in Northwest Phoenix, Glendale, and more take care of your home so that you can enjoy more of the things you love. Our seamless cleaning solutions cover every inch of your space so that you can always come home to more. 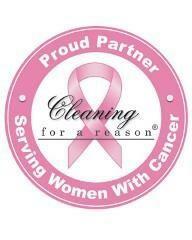 Live in the moment and leave the housekeeping to our house cleaning professionals. At Merry Maids of Northwest Phoenix, our services are customizable for your convenience. From one-time cleanings to routine housekeeping, we’ll work with you to find a plan that fits your busy schedule. Our team is thoroughly trained, bonded and insured and our results come with our worry-free guarantee. If you’re not completely satisfied, just let us know within 24 hours and we’ll make it right. Request your free estimate for professional cleaning services in Glendale, Northwest Phoenix and beyond today and let life shine through. Request Your Free Estimate Fill out our estimate form or give us a call at (602) 842-0605 to get started.